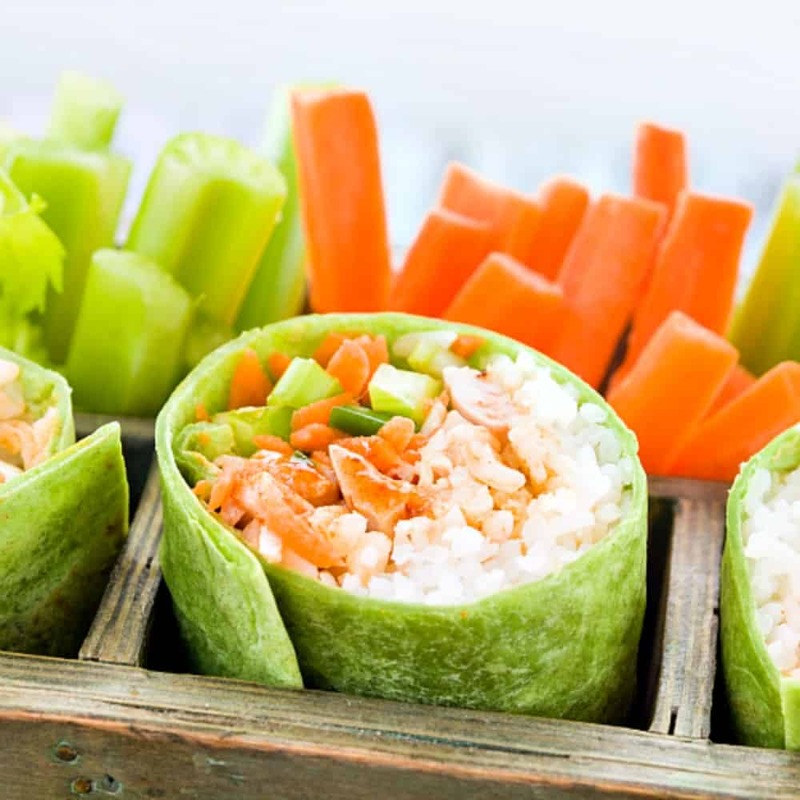 This Healthy Buffalo Chicken Burrito Recipe is packed with diced celery, shredded carrots and healthy avocados with just the right amount of everyone’s favorite Buffalo Wing Sauce and tangy cheese. This Burrito Recipe is delicious served warm or chilled for a refreshing spring/summertime lunch. Spring is here and we’ve got to hurry if we are going to go on a picnic before it gets too hot. We only have about 10 minutes of Spring here in the Southwest so, we’ve got to jump on it when it is here! This Buffalo Chicken Burrito Recipe is one of my favorite “picnic” foods. You can serve them warm but, they are also delicious chilled. Chilling the burritos highlights the crunchy celery and shredded carrots. The rice in the burrito soaks up extra Buffalo Wing Sauce so that the burritos don’t get soggy, like I said… perfect for picnics or taking lunch to the ball park and feeding team full of hungry ball players or soccer fans? I do love Buffalo Chicken Wings BUT, I don’t love the mess. I don’t love the spicy red sauce running down to my elbows or getting all over the place. SO, I came up with this Chicken Burrito idea as a way to have my favorite flavors in a wrapped up in a neat little package. Burritos don’t have to filled with beans and cheese and smothered in chile sauce. they can be filled with all kinds of fillings, just about anything you can image will fit inside a soft, warm flour tortilla. Great ideas for new BURRITOS flavor! You’ll find lots of ideas for creative burritos in my BURRITOS! 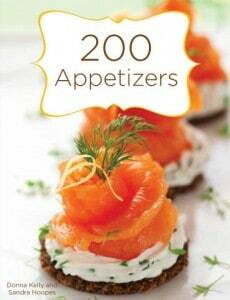 cookbook. The book is filled with many of the “out of the box” burrito recipe (s) that I have used for my family’s meals. 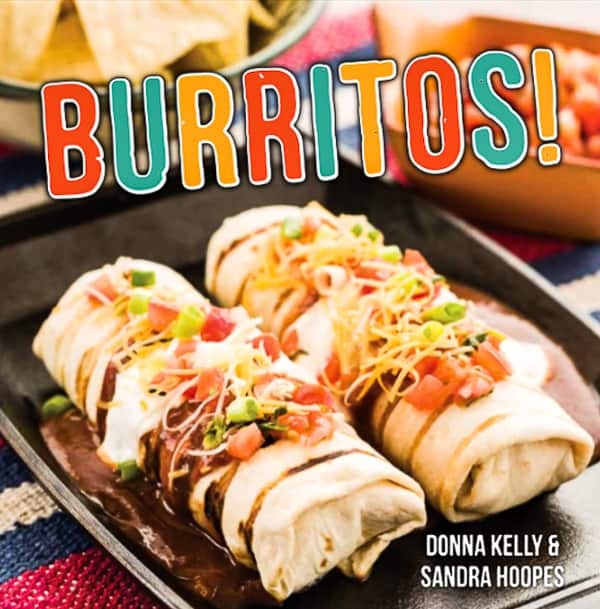 Among the 70 plus recipes are wonderful spins on American Regional Classics like New Mexico’s Frito Pie Burrito, several different Breakfast Burrito Recipes PLUS delicious Mexican Sauce Recipes. There is also a large international section with exciting burritos ideas from all over the world including my Mongolian Beef Burrito. It has a recipe for tasty, restaurant-style Mongolian Beef but, I won’t tell if you use leftover Chinese take-out and roll it into a burrito. Shhh… it will be our secret. You can get a copy of BURRITOS! with all of its recipes and beautiful photographs of burritos on Amazon or Barnes and Noble just to name a few online booksellers. It is available in hardback or even ebook formats. Be sure to check out the Baja Seafood and California Cioppino Burritos Recipe, they are two of my favorites. Although, I have too many favorites to mention! Most of all, don’t forget the Dessert Burritos section! We can’t have a cookbook without dessert! 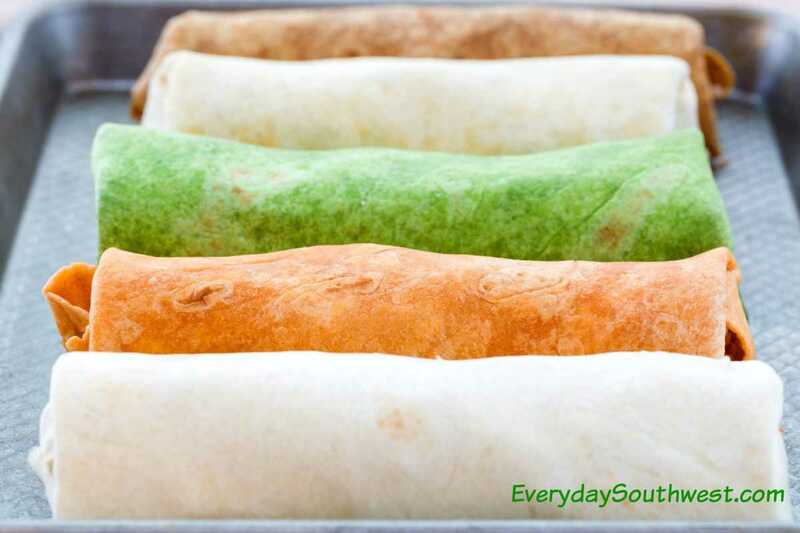 Several of the burritos recipe from the book have been shared here on Everyday Southwest. Please go ahead and try them then, let me know what how you like them. Choose a healthier tortilla. You can find tortillas in many healthy flavors from carrot or spinach tortillas with vegetable puree mixed into the tortilla to whole wheat and gluten-free tortillas. Reduce fat by using steamed rice in the burritos, not rice sauted in oil. Don’t forget to add a pinch of salt to the rice while steaming. Shred carrots and other firm vegetables to make the burritos easier to bite into. Use whole beans to burritos instead of refried beans to have a healthier, low fat burrito. Add smashed avocados for flavor and creaminess instead of mayonnaise or fatty sauces. Watch out for high calorie, high fat sauces. 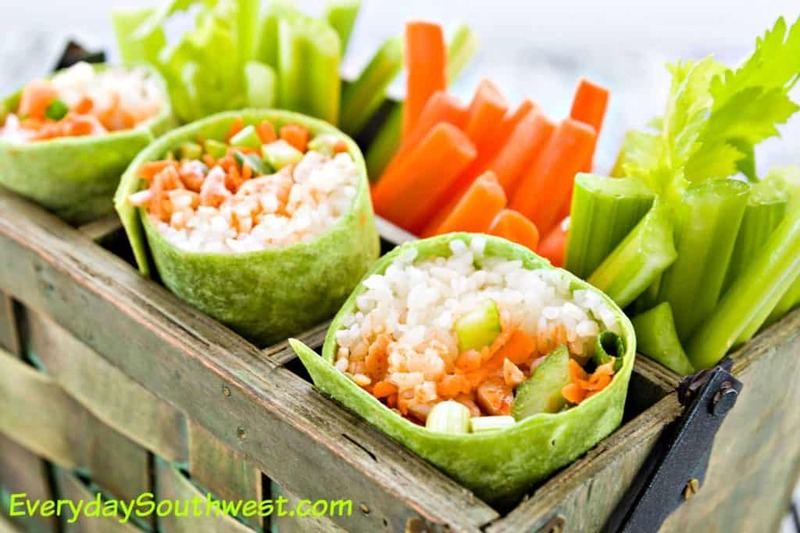 If you have made an effort to make a healthy burrito, don’t smother it in fatty sauce, use roasted vegetable salsas and other sauces made from fresh vegetables like tomatillo sauce for the same, yummy Southwest flavor. Do you have a great idea for new burritos recipe? I’d love to hear your ideas! You can always reach me on Everyday Southwest’s Facebook Page or leave a comment right here on the this post. Are you on Pinterest? Me too! My Pinterest profile is Southwestgirl, come and follow me. Melt butter in a large skillet with garlic over medium-low heat. Heat until garlic is fragrant, 1 to 2 minutes. Add cayenne pepper sauce and bring to a simmer. Add chicken, stir gently, and cook until most of liquid has evaporated and sauce clings to chicken, about 7 minutes. Combine avocado, celery, carrot, and green onion in medium bowl and toss with blue cheese dressing to make an avocado salsa. Assemble burritos by spooning rice onto tortillas. Layer chicken, avocado, and blue cheese crumbles over rice. Roll burritos as desired. 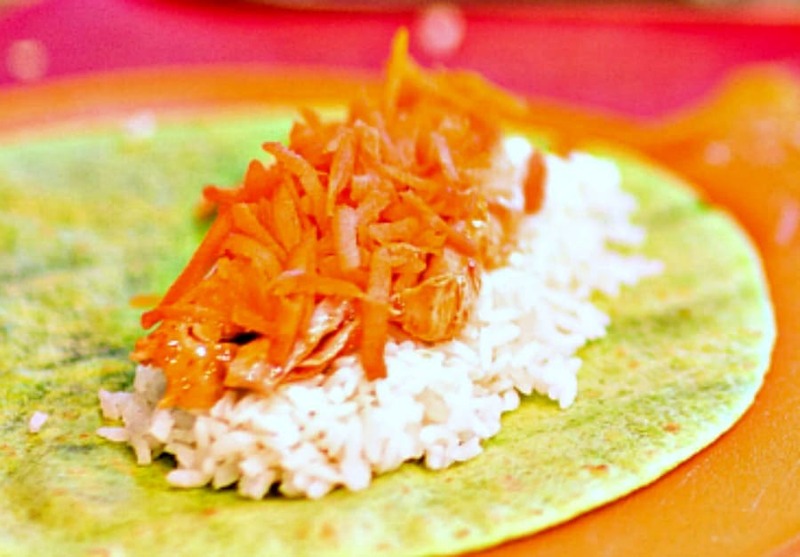 These Buffalo Chicken Burritos are filled with fresh shredded vegetables and healthy avocado. Serve the burritos warm or chill them for a refreshing lunch. Pin this Buffalo Chicken Burrito Recipe to your favorite recipe board on Pinterest! « Breakfast Burritos Recipe- Burritos El Diablo! What a delicious recipe! I’m totally with you that I don’t like the mess of traditional buffalo wings, so this is the perfect solution! And completely portable! I love everything “Buffalo” but you’re right — not a fan of the messy wings 🙂 These burritos are the perfect solution and perfect for lunch or dinner! I love that you used colorful tortillas for spring! This week is warming up for us too, so we are excited to break out short sleeves! The colors are fun! You can the colored tortillas with other vegetables added like spinach and carrot. Great way to sneak veggies into a meal.